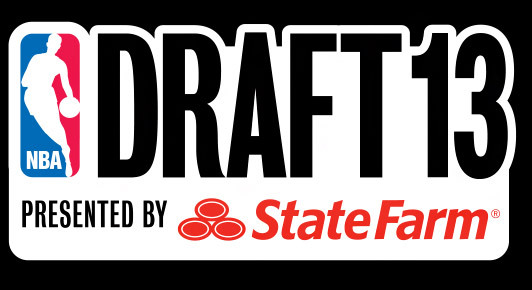 All of the speculation, all of the mock drafts (thank you very much), all of that jazz is now moot tonight as the 2013 NBA Draft is on. It is still considered to be all but a crapshoot considering many consider this to be a second-rate draft. All night long, this will be your home for live analysis of each and every pick so as the great Marvin Gaye once said, let's get it on. Wow, I am really shocked that the Cavs did not go Noel nor Len with this selection. And you know what, I really like the pick and here is why. Cleveland does not have any scoring from their forwards, or from the post in general. Bennett is extremely skilled offensively and I have heard some folks that this guy can be a star. Yes he does not have a pure position to defend, and his effort defensively is inconsistent, but I think this is a strong selection that goes outside the box. I think with this pick, Aaron Afflalo may be staying in town because you would want the offense that Ben McLemore brings if Afflalo is gone. That said, I like this pick a lot because while Oladipo's shooting from the perimeter this season was a bit of a fluke, he should be an immediate defensive star. His offensive game has greatly improved, he's an excellent slasher, and he is a leader that works his tail off. Orlando has a talented core coming after this pick. This pick has been seen by everybody because it makes so much sense. Washington is looking to be a playoff club this year but had a huge hole at the three that they have now filled. Porter will not be an All-Star but he is probably the safest player in this draft. He should start right away for the hometown club and while Porter was trash against Florida Gulf Coast, he will be a solid NBA pro. And what is wrong with that. Terrible. Terrible. TERRIBLE. Now I see the need here, the Bobcats are messy in the frontcourt and have no offensive production from those spots. And you know what, I like Zeller and I think he is a fine prospect, his athleticism is quite impressive. BUT YOU HAVE NERLENS NOEL, BEN MCLEMORE, ALEX LEN ON THE BOARD. All are better prospects than Zeller, who is a little soft and did not improve his game and dominate as expected this year. Now while I do not love Len like many others do, why was he just decent in a weak conference for big men (and I know he had awful point guard play), but considering that the Suns have a long-term rebuilding project, taking a chance on a really talented big like Len, who has a promising inside-outside game and the talent to be a difference-maker on defense, makes sense. And now they can move Marcin Gortat as has been rumored. Solid work. A lot of folks thought that the Pelicans were going to take the best player on the board with their pick and I really like this pick. The Pelicans are now going to have an epic defensive frontcourt with Noel and fellow former Kentucky Wildcat Anthony Davis as both are tremendous defensive players. Yes Noel is slight of build so he will need to add pounds if he is going to be a center and his offense is a work in progress, but considering they also have Ryan Anderson in the mix to space out the floor, it will be just fine. I don't care, I love it. UPDATE: This pick is going to Philadelphia, who is giving up Jrue Holiday and their first for Noel and a first next year. It is a good value to get Noel here, even by giving up Holiday, although it is tough to deal a young All-Star like that. I do like the Hornets getting Holiday but not dealing a pick in next year's draft. With some of the more surprising picks early, folks started to wonder how far McLemore would fall, with everyone thinking there was no way he would fall past seven. Boom. This is a great pick and a big step in the right direction for this franchise, which needed more consistent offensive production and shooting from the perimeter. The questions about McLemore's passiveness are legitimate in my opinion, but they are not serious enough to hinder his career. I do buy the Ray Allen comparisons. Caldwell-Pope is a player that I have grown to really like in this draft process and as I have said, he looks like your prototypical off-guard. He has an excellent jumper and his overall offensive game is very intriguing. And the Pistons did need more guard depth. But I really thought that going point guard would have made more sense with moving Brandon Knight to two-guard. A good pick, but not a great one. So David Kahn is not making this pick? All joking aside, I do not see the need here. Yes, I do like Burke quite a bit, he gives you a quality offensive game with a good jumper and he is an underrated defensive game. But the Timberwolves already have a good point guard in the mix with Ricky Rubio. They did also need a shooting guard and overall better wing play. Will Burke be a two for this club? Is somebody off the move? UPDATE: This pick is going to the Jazz, who are trading the 14th and 21st to get the rights to Burke. They did overpay a little, but they also overpaid for a big need. Improving the grade a little. Viva Patriot League! I did nailed this pick in my final mock and you know what, it makes a lot of sense, even after they took Damian Lillard last year. Yes, McCollum is going to be a combo guard at the next level, but his offensive game is delicious as he can score all over the place, outside and inside. Plus he can play defense. This is a guy that should be a huge part of the Blazers off the bench, which they desperately needed. And yes, I do not hate this pick as many others do and here is why. Yes, Adams is EXTREMELY raw and he needs a lot of development to become an NBA contributor considering he had only played the game for a while. But the Thunder did not need to have two first round picks as they have a roster set up to go deep in the playoffs. They will have a need down low considering Kendrick Perkins is not much anymore but they can wait for Adams to develop. By the way, I also nailed this pick. Let me tell you something, this is a very sound pick for the Celtics here as I really like Olynyk. Yes, he is never going to be much of a defensive player, although he is not bad, but his style makes a lot of sense and fits the Boston system well. His offensive game is really intriguing and especially his perimeter shooting, which is NBA caliber. He should help spice up the Celtics' offensive game and open some things up in the interior. Minnesota got this selection after the Trey Burke deal, which actually turned out well for them as they will take a guy many thought they would consider at seven. Everybody knows the deal with Muhammad, we're not sure of his age, his defense is nonexistent, he has an attitude issue, his game is one-dimensional and overly reliant on his left hand. But the kid can score, he will score a lot of points, and the Wolves needed scoring from the wings. For me, there is not a whole lot to like with this selection here for Milwaukee. First off, 15 is much too early for Adetokunbo, who would really struggle in the D-League considering how incredibly raw he is, how young he is and the competition he saw across the point. It will take a lot of years for Adetokunbo to even be a contributor on the NBA level. Also, where is the need here? I would have gone backcourt with all the key players they have becoming free agents. I just do not like this pick, not matter how tantalizing his talent is. 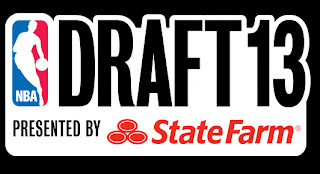 This pick is being flipped to the Hawks, who will then give the Mavericks the 18th selection. I do not see why the Hawks decided to move up a couple spots when they had the next two picks to take Nogueira, an extremely athletic big man that should be a defensive force down the line. His offensive game needs a lot of work but it makes sense for the Hawks, likely to make a big free agent push this offseason, to takes some guys to stash. I don't love Nogueira, but it makes sense. From great hair to terrible hair, quite frankly. Makes sense again for Atlanta to take another international guy, except Schroeder has a game that many are comparing favorably to Rajon Rondo due to his flashy point guard style. This guy can get to wherever he wants on the court, makes the difficult pass look easy, and is very quick and fast. Plus, his jumper has come a long way and he could be a legitimate NBA threat from the perimeter. As there is a chance that Jeff Teague leaves, very good pick. This pick is going to Dallas and for them it really makes a lot of sense, particularly as they moved down for him when they could have taken him with their original pick at 13. Dallas had a big need for a point guard as Darren Collison never amounted to much this year (what a surprise) and to take a speedy guy that can stroke it from deep like Larkin can really fits in well to his system. Is he small, yes he is, but trust me, he will be fine. This is a very shrewd pick for a number of reasons. If this is a stash pick, makes sense as the Cavaliers may try to push for the playoffs and could use the roster spot. But he is ready to play in the NBA in my opinion and he will fill a big need at small forward for the Cavs. He also gives the club an excellent threat from deep that they do not really have right now. He will struggle on defense but he could be passable if he works on his craft. Some folks are really hating on this selection and I will admit I do think this is a little bit early for Snell. However, Snell can ball and he will fit in well as a key swingman for the Bulls due to this athleticism and his potential to become a physical defender on the perimeter. Also importantly for the club, who really struggled to hit the threeball, he has a good perimeter jumper that has improved every year. Given the fact that Nikola Pekovic could leave town this offseason as he is a restricted free agent, bringing in a potential replacement that will add key depth if Pekovic stays makes plenty of sense. And I like Dieng a lot actually. We know the name of his game is excellent rebounding and tremendous shotblocking, but his offensive game is better than people give him credit for. He is a quality passer, sets good screens and has a fine mid-range jumper. I did come close to failing this pick but I decided not to because it fills a need for depth in the frontcourt, gives them a guy that brings some athleticism and should contribute right away. But just like his brother, Plumlee really did not do that much at Duke, against an aforementioned weak frontcourt crop in-conference. He got outshined by a lesser talented Ryan Kelly in Durham. I'll be frank, the Plumlees are second-rate. I don't get this selection here. Solomon Hill is a fine player and I'm sure he is a good guy, but he should not be a first rounder. I don't know many folks that had him in the first round and while it is late in the first, there are much better guys available for the Pacers to take. Hill has a solid offensive game, but his lack of athleticism will probably hinder how much of a contributor he will be. This is a good selection for the Knicks here, even if he is not my top shooting guard available (Jamaal Franklin and Allen Crabbe are both preferred here). J.R. Smith was tremendous this year, except for when he was awful in the postseason and his success may very well have been a contract year action. The Knicks could use more talented swingmen and some youth and Hardaway can just about do it all at the two. If he can become more consistent shooting from the perimeter, where he is streaky, he can be a good one. And hey, he's got bloodlines. Another quality value selection here and this pick makes a lot of sense. The club wanted to acquire more depth in their swingmen and they were also looking for a potential replacement at small forward as Caron Butler is being shopped and Matt Barnes is a free agent after a strong 2012. Bullock did not get a full endorsement of Roy Williams after leaving early and he is certainly not a perfect prospect, but he is an excellent shooter than plays solid defense and hit the boards. This is confusing so hear me out. The Timberwolves sold this selection to the Warriors, who were without a draft pick. The Warriors then flipped it to Oklahoma City in exchange for the 29th pick. That means it has been dealt four times and ultimately, it was used to select Roberson. So all of that for a reach? There were some questions regarding if Roberson was going to be drafted, believe it or not. He doesn't have a position and is a mess on offense. Yes he has got good defensive game, but still should not have gone in the first. Utah is giving the Nuggets pick 46 and some cash for this selection and will take a true athletic freak in Gobert. Gobert has a 7'8" wingspan and a standing reach of 9'7". Both were NBA Combine records are both are unfathomable. Yes, this guy is very raw and has no offensive game with the exception of catching lobs but whenever he gets in the mix, should be a defensive monster. Also brings some key depth down low as well. The Spurs going international is a major shock, considering they do it all the time. And why not, if it is not broke, why fix it? Jean-Charles was not on many clubs' radars until he aboslutely tore it up at the Nike Hoops Summit which caused many scouts to raise their eyebrows. We will not see him in the Association for a while but he is very athletic, can play either forward position and can handle the ball very well for a guy his size. The Suns came into this selection and considering their roster situation, why not take a chance on a talent like Goodwin, even when there are better guard prospects on the board at this juncture as I do think this may be a little early for him here. Check back in with Goodwin a few years down the line when he really develops his game and it could end up with the Suns being quite happy. I am going to be completely honest, I know next to nothing about this prospect but since I just did some research, I found enough to utilize this space here. Nedovic is a big point guard that has excellent physical tools but he has a lot of work to be done as he is very raw. But it is a worthwhile risk for a club that didn't have any picks in this draft like Golden State. Tremendous value for a sniper that should further help the Portland bench. OKC was going to go with a international prospect at some point with their picks, and Abrines is a keeper. I have seen worse selections but I'm not a huge Felix fan, especially with better prospects on the board. This is good value for Canaan, who may be undersized but looks to be offense-in-a-pinch. This is very good value to load up on the wings. We know about his background troubles but he has professional experience that is rare for most draft selections. Now I like McCallum, but I just don't see how he fits into this backcourt with a few similar players. I saw Mitchell be mocked as high as 20. It's shocking that he fell this far because while he has flaws, he has some big-time talent. Not a bad insurance selection at the point if Brandon Jennings leaves town this summer. Pretty surprised that Withey fell this far considering how strong his defensive game is. Another guy that should help out the OKC bench with some solid perimeter work. Insane that he fell to 41. I love this guy and he is a perfect fit for Memphis. I think Jackson was an underrated prospect, but I just do not see the fit in New Orleans's backcourt. Ledo probably was one credit away from the lottery. Big-time talent hurt by bouncing around high schools, well worth a selection here. More Patriot League love here. Should be a solid reserve big men that can pop the jumper. Todorovic may never see an NBA floor but considering how many draft picks Portland has had, that's not a bad thing. Gives them some much-needed perimeter shooting as well as some backcourt depth. More international players for the Hawks? Well, look what organization Danny Ferry hails from. Kelly isn't athletic but his perimeter shooting makes him a decent fit for Mike D'Antoni's scheme. Murphy is the kind of player Chicago hasn't had in years, a solid stretch four. Hey, the Heat are pretty good. Not a bad team to land with. I just do not see how Osby makes it in the NBA, guys that are all hustle usually don't last long. I don't see the need here considering Brown can't shoot, but still a good value. Very solid selection here as he will bring some toughness and rebounding to Beantown. I mean, he's was solid at Oregon, I just don't see an NBA guy though. Taking international guys late in the draft is never an issue with me. Were some better point prospects on the board and considering the need for the club, taking a club I don't think is pro-caliber isn't that wise. It's a good thing I don't give F's becaue Oriakhi shouldn't have been drafted. Big tease his whole collegiate career. This guy can score, and I think that the Spurs can carve out a role for him. Yeah, I have no idea. But he'll likely never see the pros so therefore it's fine. Again, no idea but same thing as above.